1 to 6 players, Ages 9 to Adult We are shepherds and farmers keeping sheep. 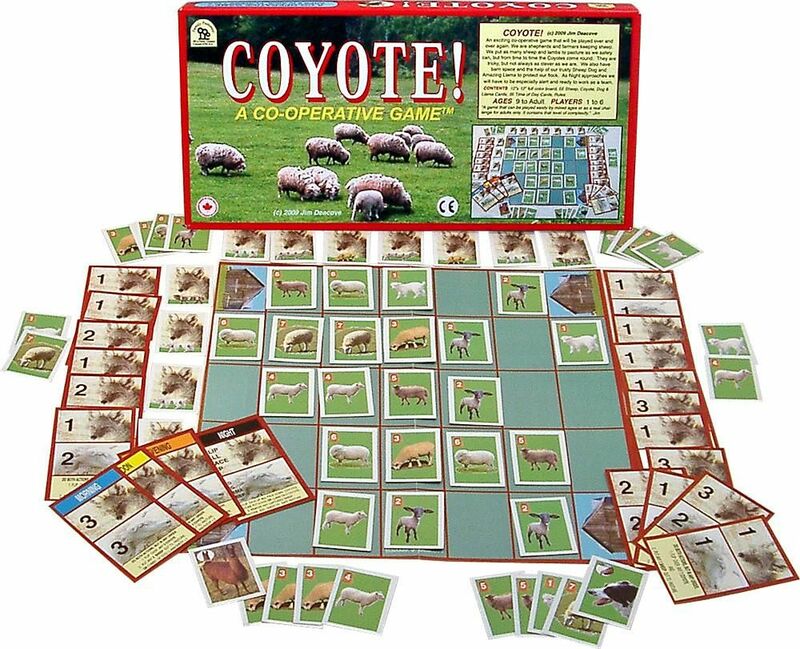 We put as many sheep and lambs to pasture as we safely can … but from time to time the Coyotes come around. They are tricky, but not always as clever as we are. We have barn space and the help of our trusty Sheep Dog and Amazing Llama to protect our flock. As Night approaches, we must be especially alert and ready to work as a team. An exciting co-operative game that will be played over and over again. 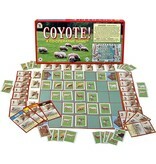 Includes: 12 x 12″ board; 55 sheep, coyote, dog and llama cards; 35 time of day cards; rules for basic and advanced games.